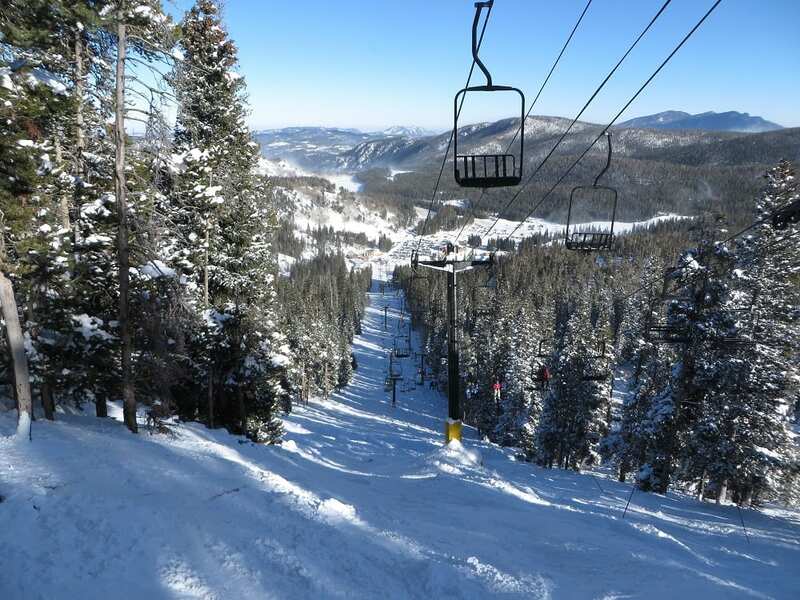 Eldora Mountain is a locals’ favorite for snowboarding in northern Colorado. 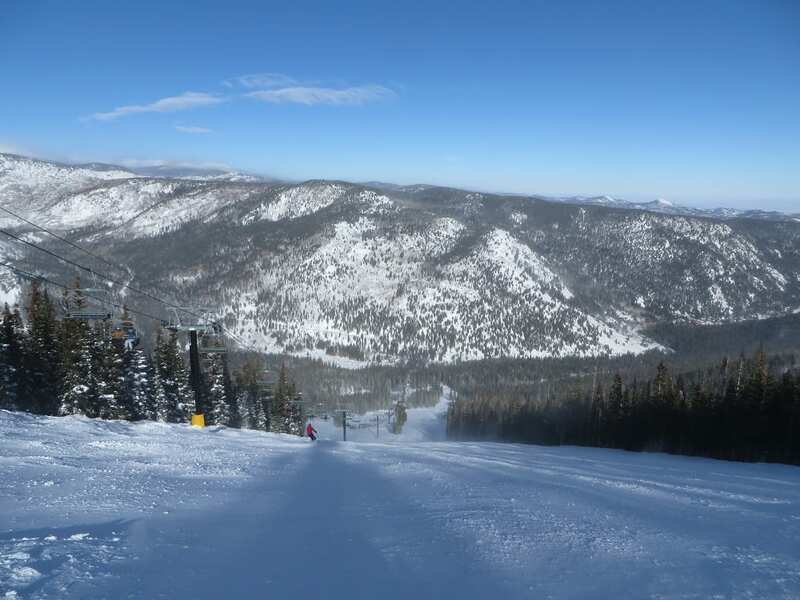 It is large enough to enjoy different runs all day and has a surprisingly good mix of skiable terrain. 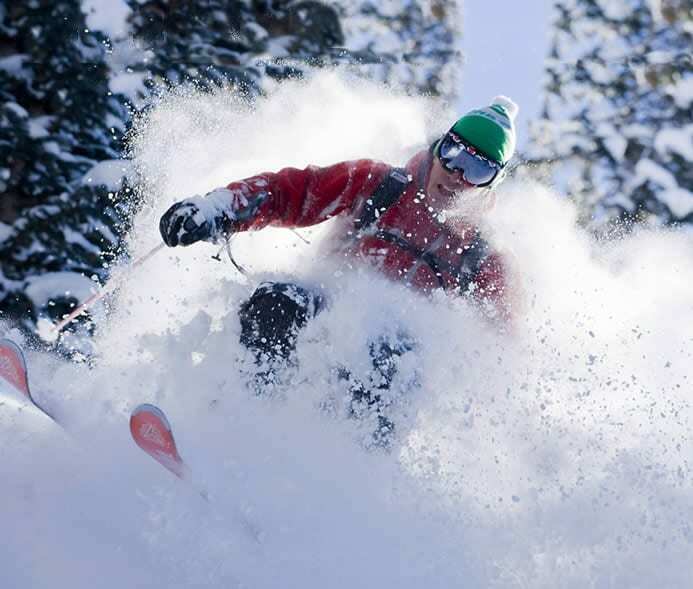 It is roughly the same distance as most Summit County resorts, but has one distinct advantage. You avoid I-70’s treacherous traffic. There are three main roots there from Denver, each about equal distance. 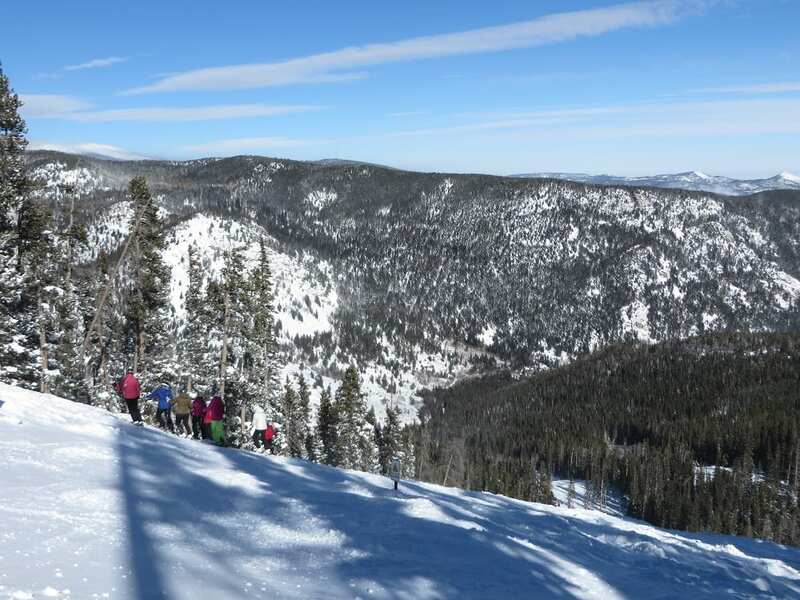 Eldora has terrain for everyone: cruisers, steeps, bumps, trees, terrain parks, learning areas and a nordic center. 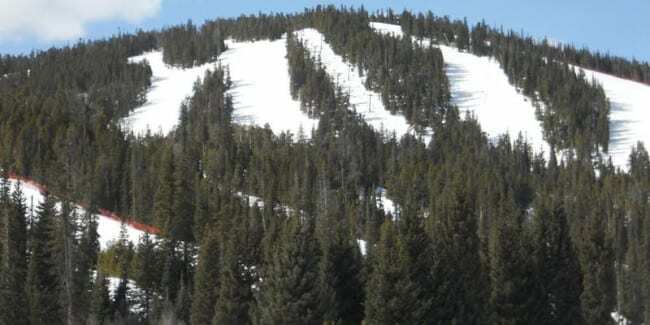 Over 300 inches on average hit Eldora each season. If you are fan of long cruisers and bumps, you’ll find plenty. 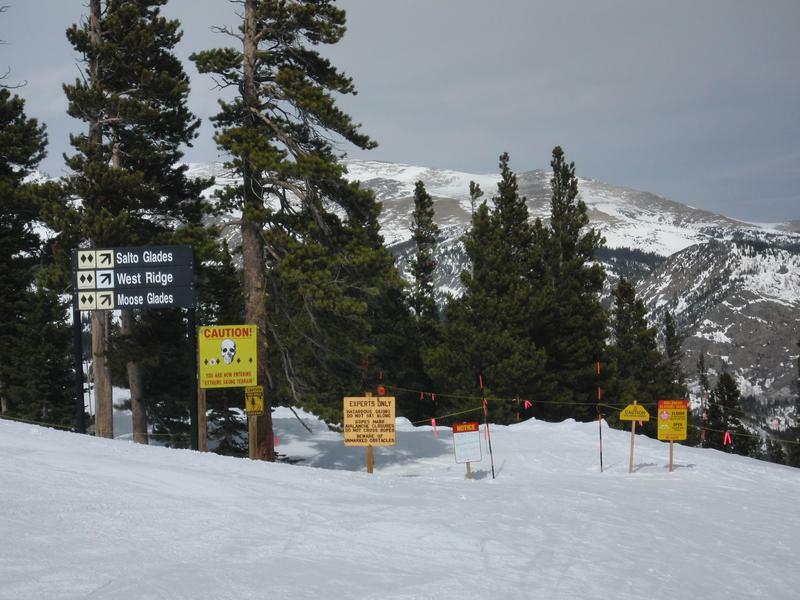 Beginners will find the easiest terrain conveniently located near base village. Eldora has an acclaimed Children’s Center, assuring fun for the whole family. 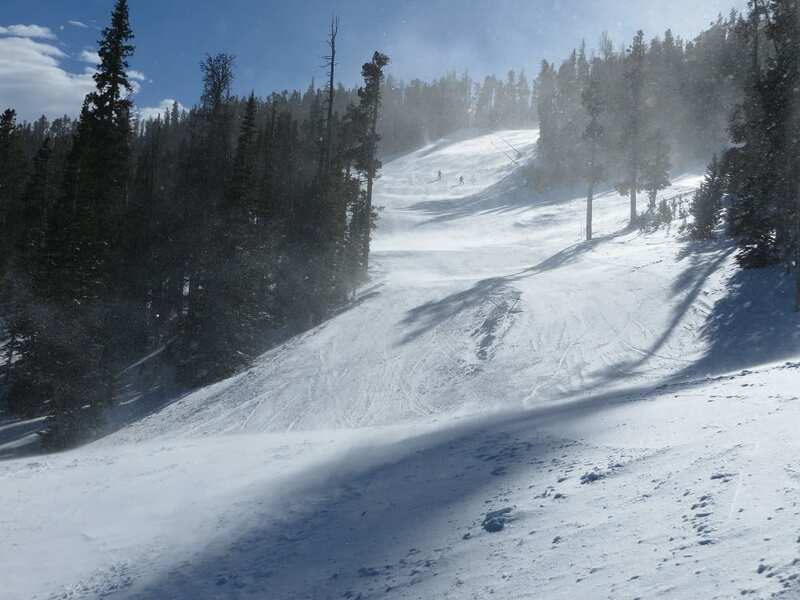 Experts will find enough single and double black runs to keep them entertained. 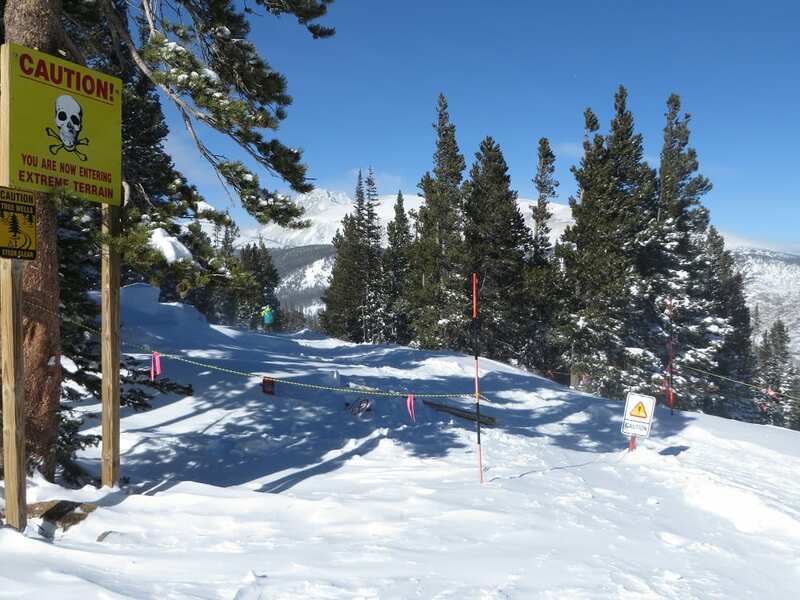 There is some gate access terrain which requires a very minimal traverse (30 seconds) to get to the steepest double-blacks. 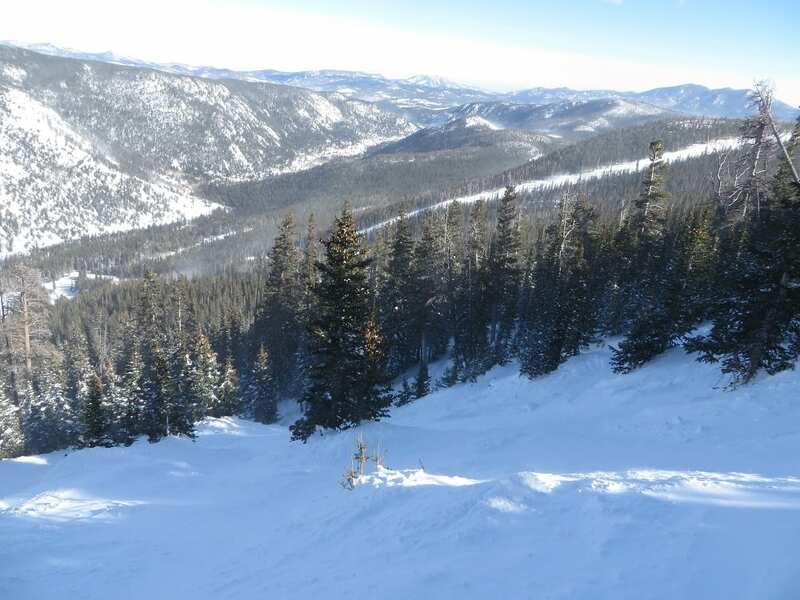 From there, West Ridge provides steep bumpy runs and tree sking. You’ll end up right at Corona Lift. 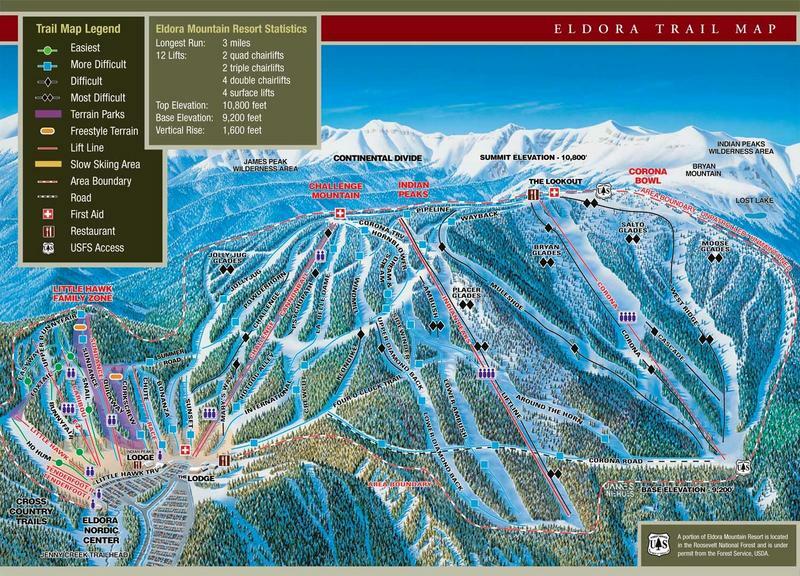 There is no town of Eldora, but the resort does have all the necessities: rental equipment, ski school, food and drink. 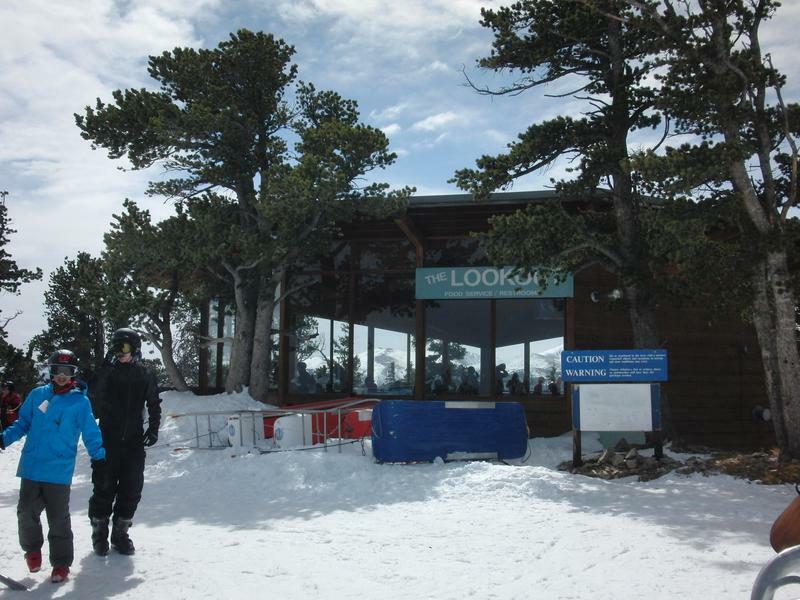 The Look-Out Cafe is situated at the top of the Corona Lift on the summit. It’s usually more of a warming hut though. 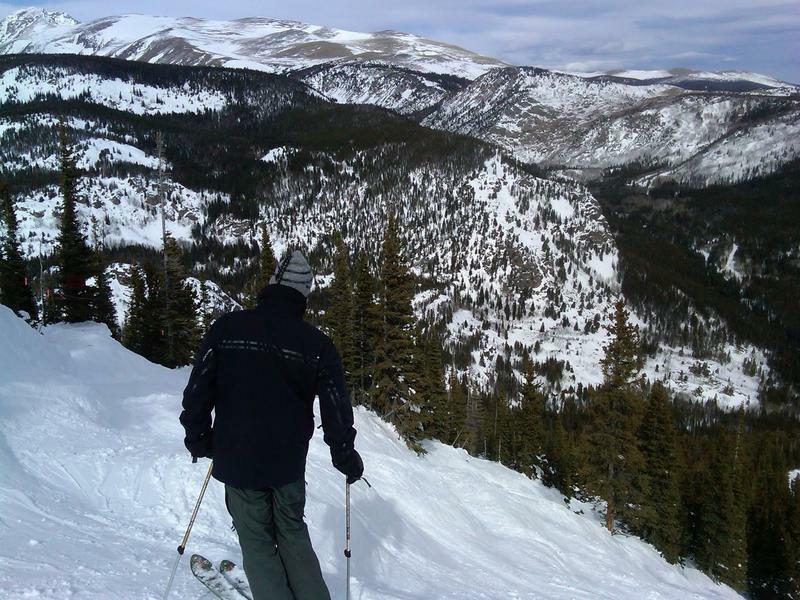 Panoramic views of the Rocky Mountains expand in every direction, perfect scenery for a rest from the slopes. 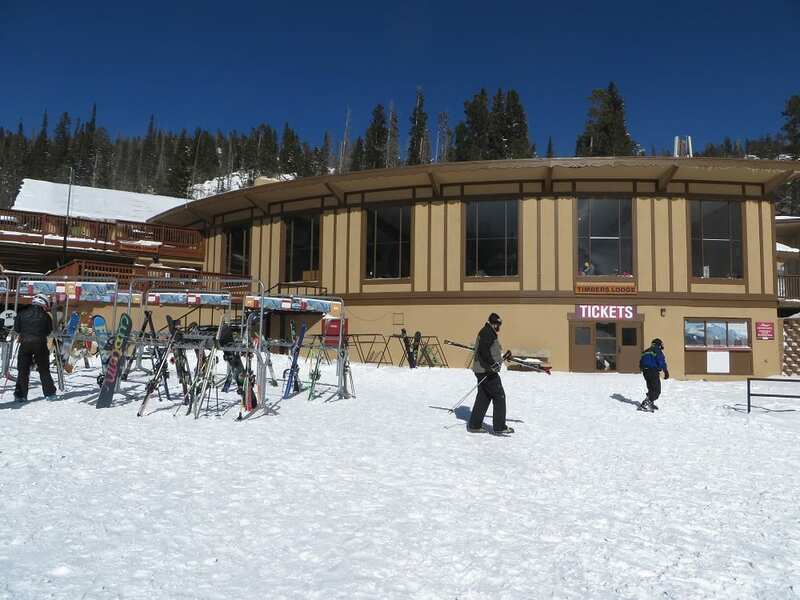 At the base lodge is a big cafeteria offering affordable meals, an upstairs bar, and a retail shop. 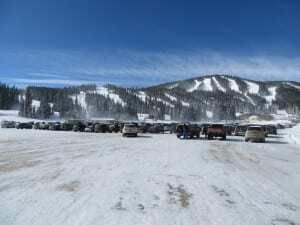 Parking is free and close to the mountain. Nearby Nederland has a unique vibe with lots of cool shops and restaurants. 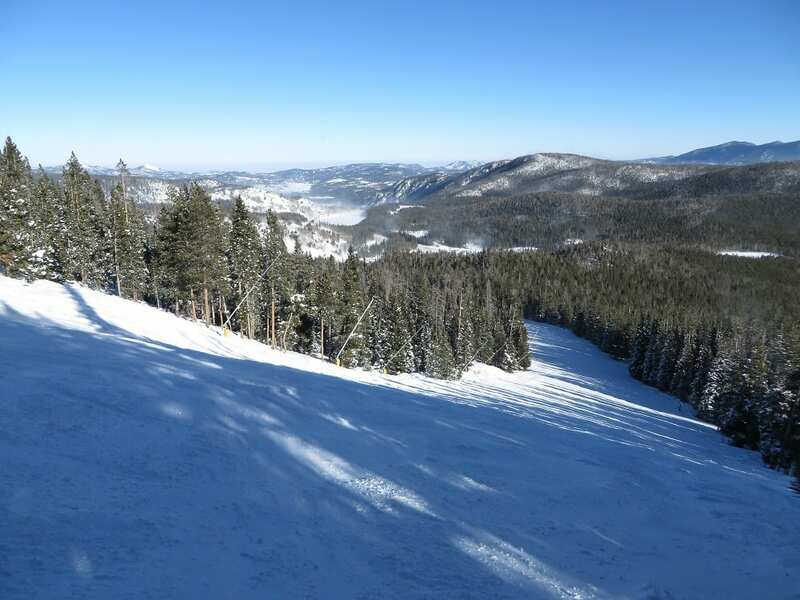 This is also where would you find the closest lodging to Eldora. Boulder is only a twenty mile drive from Eldora. The Lookout, at the summit. Entrance to the expert trails. 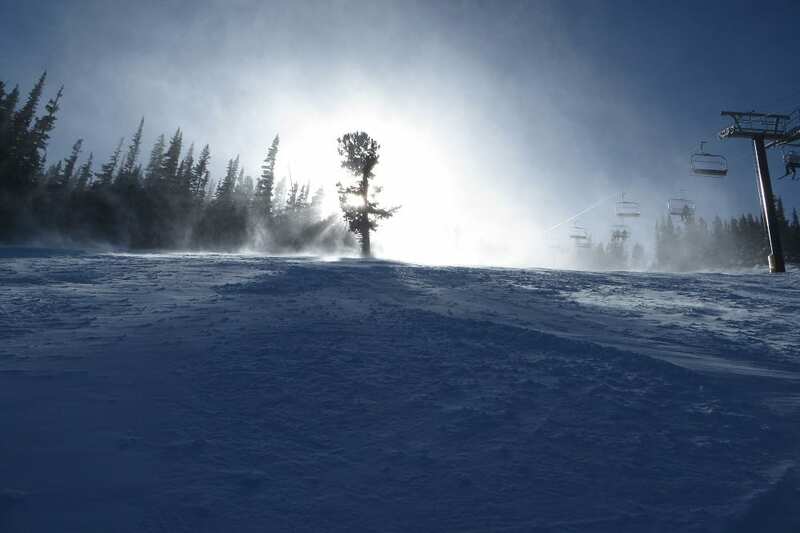 Windy day with fresh snow at Eldora. 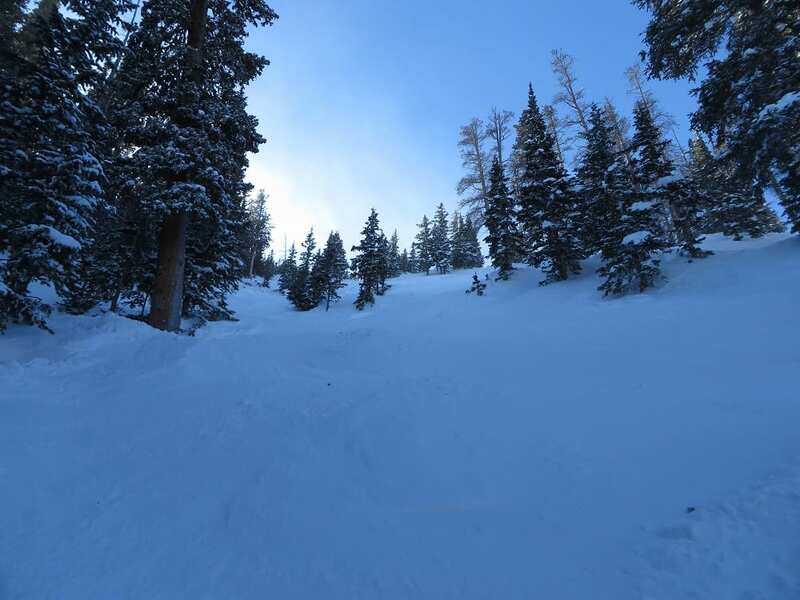 January 28, 2014 – The Front Range has gotten plenty of snow the last couple days and more’s to come. This means good skiing at Eldora. Today it was powder and packed powder riding. My late 12 o’clock arrival missed most of the freshies, but it was still a fun day. 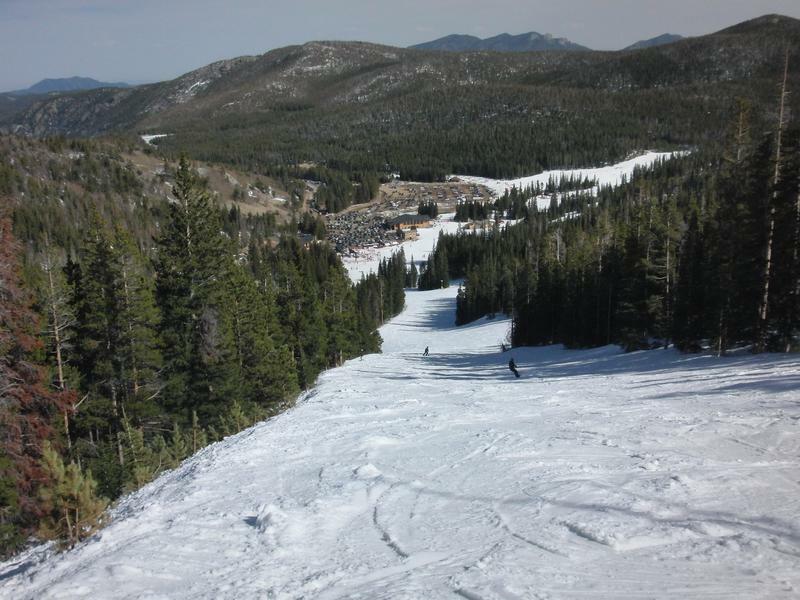 Eldora Mountain Resort is tucked away by the Continental Divide, west of Nederland. It’s a locals’ mountain with reasonable prices and up front parking. The best perk about Eldora is that it doesn’t require a trip on I-70, so its perfect for congested weekends. 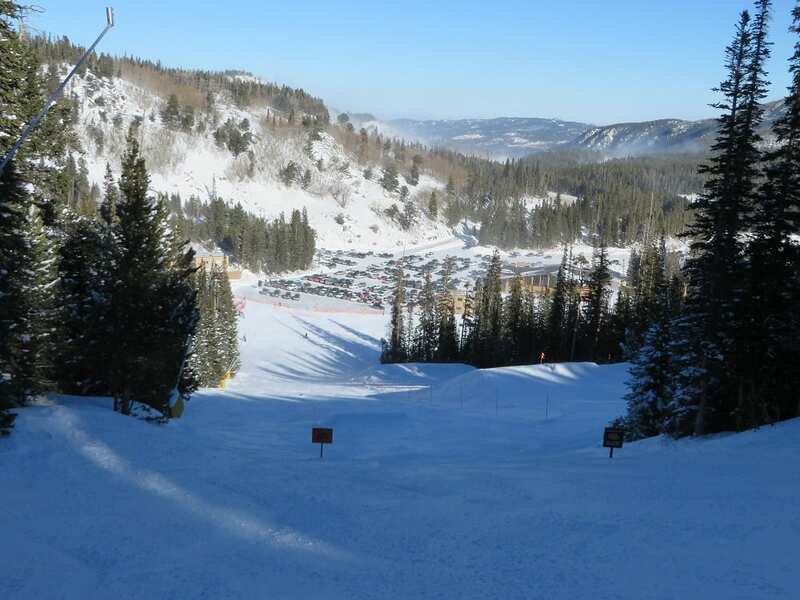 The downside to this smaller resort is slow chair lifts. 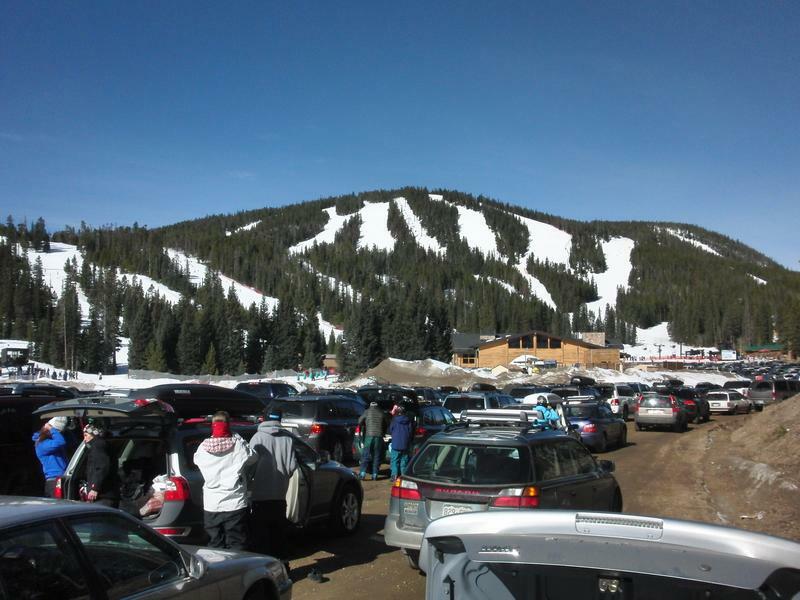 Pulling up to Eldora Mountain Resort. 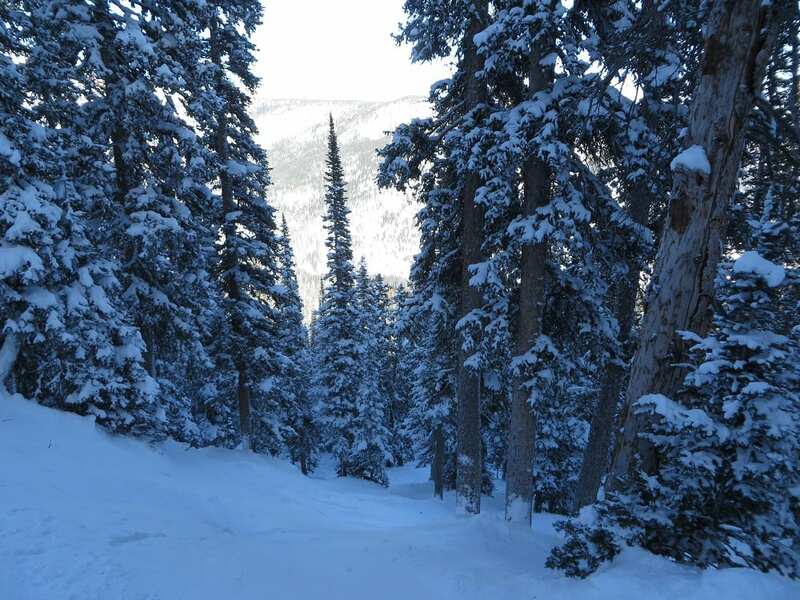 It has a great mix of greens, blues and blacks, with several expert steeps and tree runs. There are some small freestyle features too. 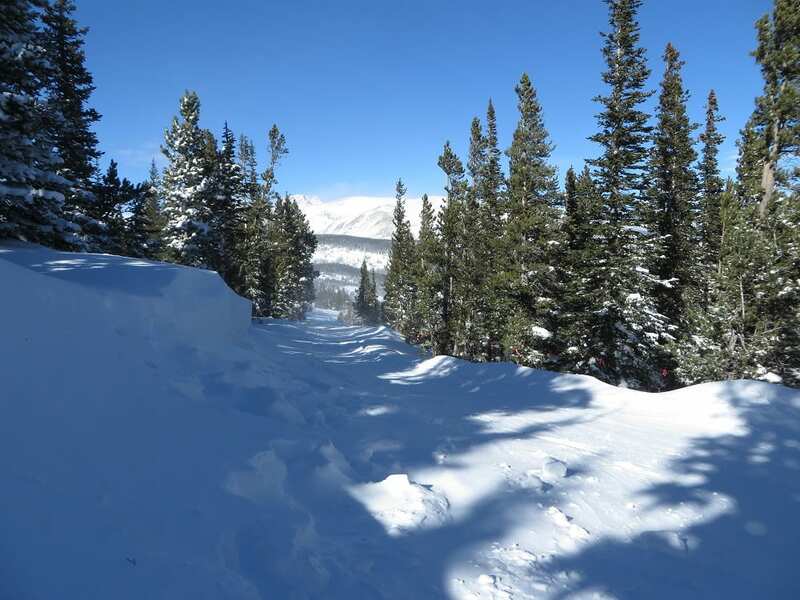 Total skiable acreage is 600, all of which is below tree line. The cafeteria has soups (with side of potato or corn chips) from $6.25-$7.75 and mountain grub like burgers for around $8. 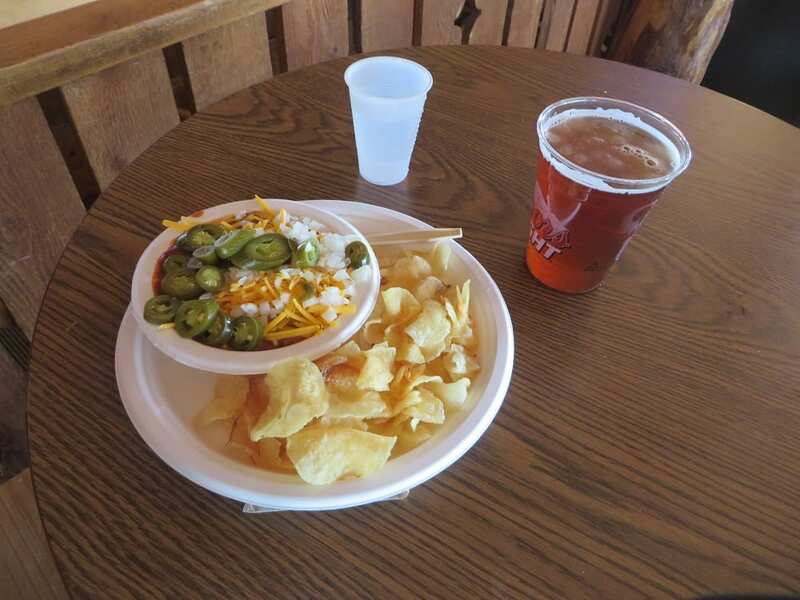 The Corona Bowl Bar is located upstairs with happy hour from 2pm-4pm. Specials are $4 wells, wines and drafts. Adults are $79 for a full day and $64 for half. 4 packs are available for $219. Some other deals may be available, usually something on the Gems Card. View of Challenge Mountain (not the highest point). Around The Horn, a blue. 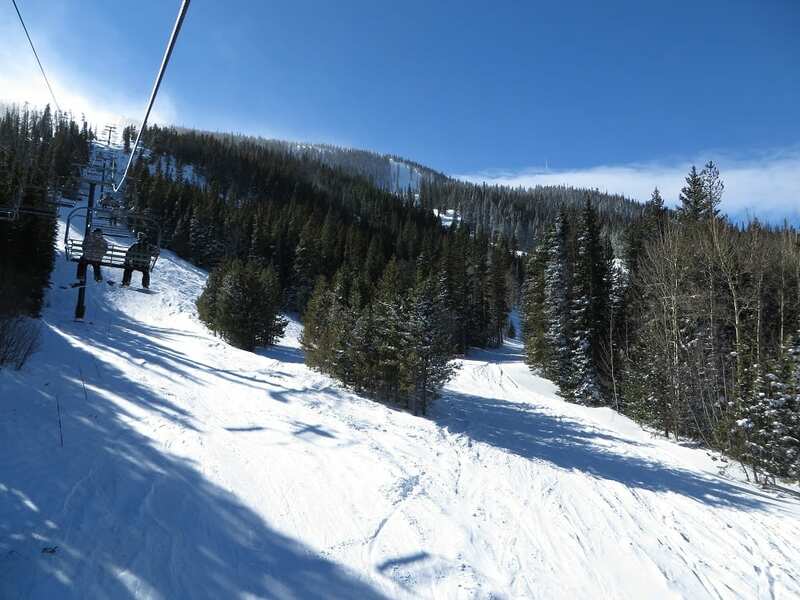 Corona Lift, a slow quad. 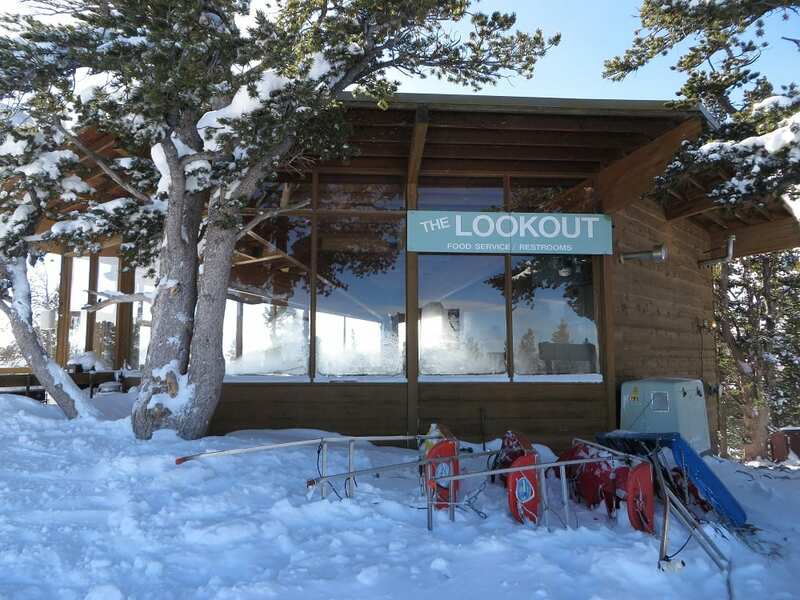 The Lookout, at 10,800' summit, has restrooms and water, and a view of the Divide. A heads up on the terrain ahead. Cat track to some steeps. 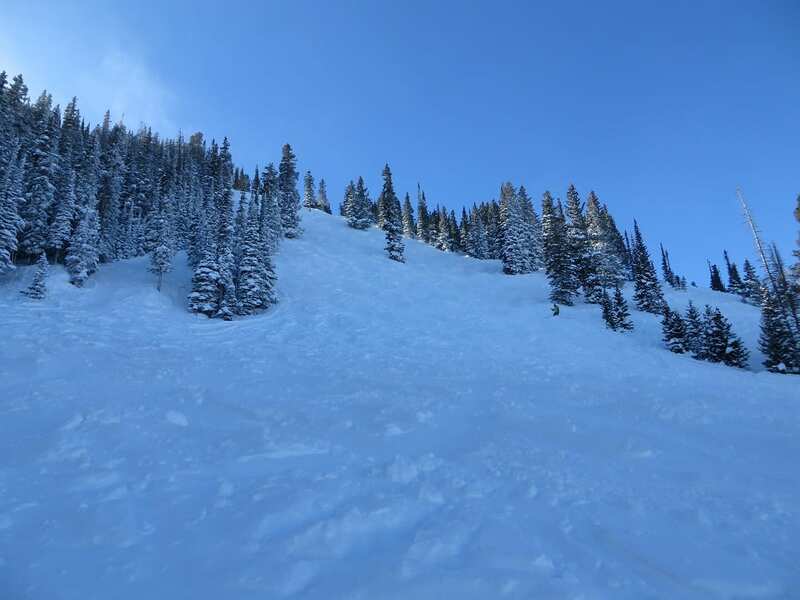 West Ridge, a double black. A fun run under the Challenge chairlift. 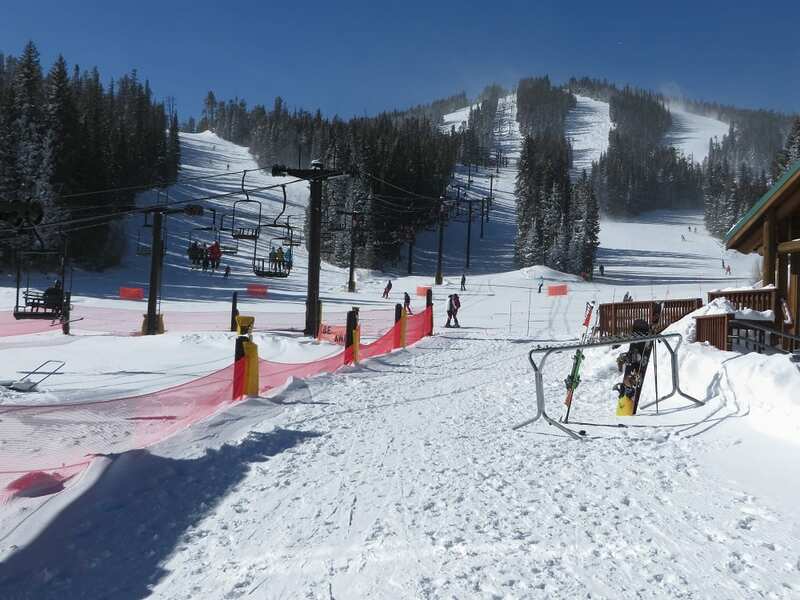 Bonanza Terrain Park has a few small jumps. Timber Lodge has a small cafeteria and bar upstairs.